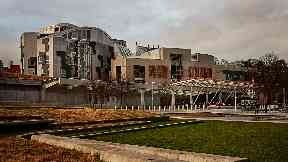 The final part of the Act devolves legislative competence for Welfare Foods schemes to Holyrood. The Scotland Act 2016 transfers power in several areas, including income tax and a series of social security benefits, from Westminster to Holyrood. It was introduced following the cross-party Smith Commission Agreement, set up in the aftermath of the 2014 referendum - in which Scotland voted by 55% to 45% to stay part of the UK - to give more powers to the Scottish Parliament. Now, the final uncommenced section of the Act has come into force, devolving legislative competence for Welfare Foods schemes to Holyrood. Scottish Secretary David Mundell hailed the "milestone" achievement and warned against a further independence referendum. He said: "In the 2014 independence referendum Scotland voted decisively to remain in the UK and the UK Government has respected that decision by honouring our commitment to deliver further powers for the Scottish Parliament through the Smith Commission Agreement. "As a passionate supporter of devolution I was proud to lead the Scotland Act 2016 through the UK Parliament to Royal Assent. "It is a truly significant milestone that all sections of the Act are now in force, reinforcing Holyrood's position as one of the most powerful devolved parliaments in the world. "More than 20 years on from the first Scotland Act gaining Royal Assent in 1998, devolution is working well. "So I urge the Scottish Government to take the threat of another, divisive, independence referendum off the table and work with us in exercising their extensive powers for the good of Scotland." A Scottish Government spokesman said: "Devolving powers for Welfare Food schemes will help us improve support for families on the lowest incomes to access a healthy diet. "Our replacement scheme Best Start Foods will start this summer, increasing payments to those who need it from £3.10 to £4.25, expanding the range of foods available and introducing an easy to use smartcard. "This demonstrates once again the benefits to people in Scotland when decisions are taken here and not by the UK Government."